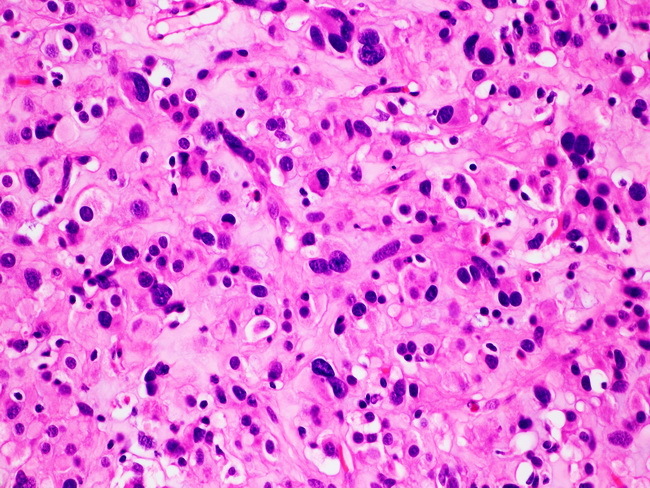 This higher-power view of the tumor in the previous image confirms the epithelioid, malignant appearance of the cells. Epithelioid GISTs are more likely to be malignant, but they should still be stratified based on size and mitotic count. Epithelioid GISTs are positive for CD117 and DOG1, like their spindled counterparts.